Dental implants and the quality of their anchoring to the jaw are the key for success for every tooth implant in the immediate and long-term. As oppose to dentures, that consist of a replacement dental system that temporarily sits on the rum tissue, treatment with dental implants is meant to permanently and stably connect the new dental system directly to the jawbone, just as natural teeth would be connected. In fact, it can be said that dental implants replace the natural dental roots, whose purpose is to create a stable connection from the teeth to the jaw. 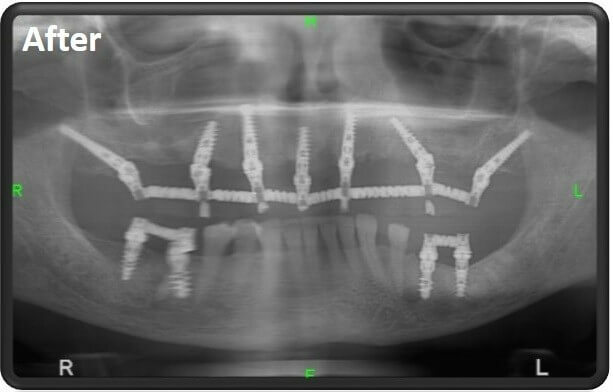 For this purpose, the implantation process starts from the stage of physically anchoring the implants to the jaw. For this reason most of the dental implants have a thread in order to allow dentists to screw them to the jawbone. 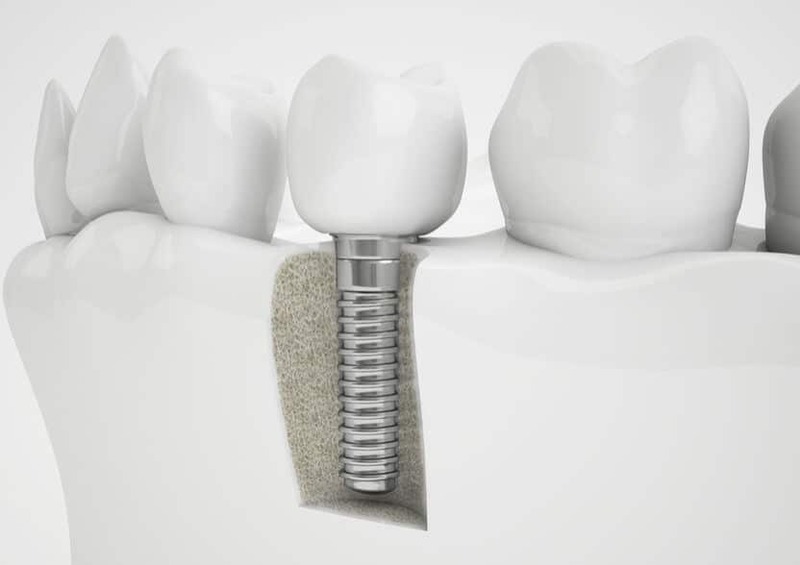 The implants are required to be strong and stable, since they carry a bridge on which are connected the dental crowns, that are in fact, the new teeth. A high quality dental implant needs to be strong to resist very intense pressure on a daily basis that exist in the jaw, as well as avoid causing irritation or damage to the gums’ tissue. This type of damage cause lead to acute gingivitis, which eventually is the main cause for dental implant failure. As oppose to the past, when over the years the treatment approach was for every missing tooth a dental implant that was to replace it was to be located directly in place of the tooth’s root, the immediate loading approach is based on its ability to perform same day dental implants, completely changed the original approach and determined that the correct placement of quality dental implants allows the dentist to be satisfied with six and even with just four implants (All on 4) for an entire jaw. According to the new approach it has been proven without any doubt that the first and foremost need is a strong and stable connection for the dental implant to the jaw. This is why several different implants have been developed that allow to perform a connection to the jawbone in angles that could even reach up to 45 degrees and their purpose is to create the best anchor possible in the correct location and angles where the jaw is thickest, strongest and most stable. These implants are designed to be used in full jaw dental implant, for either the upper jaw or lower jaw. These implants are utilized in cases when the jawbone condition is relatively good and there is ample jawbone in order to connect the implants directly as screws. Cone shaped dental implants with a V shaped screw – implants that are meant in cases where the bone is perforated, as in patients suffering from Osteoporosis. Straight shaped dental implants with a cylinder screw – the classical shape that is utilized in most cases when the jawbone doesn’t have any condition at all. The screw position of these implants is mostly by vertical screwing and they are very similar to the natural teeth’s way of anchoring. In the past, these were in fact the only available methods of dental implant treatments in general and the same day dental implant treatment as well, patients who suffered from conditions of poor bone loss, cause by different medical conditions, or from long term use of dentures, were considered “untreatable” and in order to perform dental implants they were forced to undergo complicated and expensive surgical procedures such as bone grafting. Smooth-headed Cortical Implants – lowering the risk for failed implant. Cortical implants are a type of implants designated for dental implantation using the instant loading method, meaning, same day implants. Their lower part of the screw connects to the cortical bone (jawbone) and a top part that can connect through a wide range of angles to a bridge holding the crowns. Today’s great novelty with these implants is their smooth head or top. The purpose of the smooth head is to prevent friction with the gum tissue and significantly lowering the risk of developing gingivitis, that might bring to the inevitable failure of the implant. Older implants are equipped with the top part in screw form as well, and the friction between the screw shaped area and the gum tissue, especially where the gum tissue is thinnest caused the development of gingivitis and exposure of the implant. 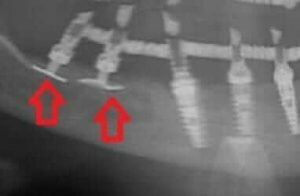 The cortical implants can be implanted at uneven angles up to 45 degrees. Zygoma implants are designated implants which purpose is to allow performing dental implantation in extreme cases of upper-jaw bone loss. In case of upper jawbone loss, there is no location to stably anchor the implants. The solution in the past was to undergo a long and painful surgical procedure called sinus lifting. During treatment they would penetrate the sinus floor located above the upper jawbone and underneath the sinus, would place either natural or synthetic bone powder and afterwards there would be months of waiting for the powder to form and immerge into the bone. Development of the Zygoma implants allowed for the first time to perform full oral rehabilitation in one day. The Zygoma implants are longer than regular implants and allow to bypass the areas of bone loss and anchor them directly into the cheekbone, known in their official name as the Zygoma bone that the implants were named after. The implanting of Zygoma implants technique isn’t a simple one and only a handful of Doctors in Israel know how to perform this procedure in the highest level. The biggest advantage of these implants is that by using them patients are spared the painful and long “prepping the patient” period of sinus lifting and bone grafting. These implants are screwless and were developed to help with jaw deficiency in the upper and lower jawbones. These implants have a plate shaped head and are connected to the jow through the sides of the gums in areas without jawbone. As opposed to Zygoma implants, Plate implants aren’t able to hold the bridge on their own, rather require additional regular implants in areas where the jaw bone is strong enough for their anchoring. These implants were meant to be the bases for an intermedium procedure called “Dentures on top of implants” or popularly known as “ button dentures”. On top of the round shaped headed implants the button dentures are connected, and they can stably attach and detach easily in relation to other dentures that are based on stability of the gum tissue and tends to cause abrasions. In spite of its relatively low price, the Button Dentures solution isn’t recommended, because it presents a less stable dental system and is far from feeling natural. The treatment’s price is close to a permanent dental implants se except for in very particular cases, it would be recommended to adopt the button denture method. Short dental implants are wider and are meant to assist as a solution to cases where the jawbone is wide enough but lacks thickness and there is need to perform bone grafting. These implants come in various width sizes according to the state of the patient’s jawbone and and come in short lengths of under 8mm. This implants wasn’t meant to bear a bridge over it, a bridge that holds a full set of crowns, rather is individually fixed into the jaw in cases of a missing tooth and is directly connected to the crown that constitutes the patient’s new tooth. Why is it important we know so much about dental implants? Many patients that are interested in dental implants examine the proposals and treatment plans they are offered by one bottom line – How much will Dental implants cost. But it is important to understand that depending on the method and type of dental implants will be used, the patient’s cost will be determined. Cheaper implants might end up cost you more when they cause gingivitis in the gum tissue and cause the implant to fail immediately following the treatment or not much longer after. Quality implants and designated implants such as Zygoma implants might cost more but save a lot of pain for the patient for complementary procedures and they last for many years.